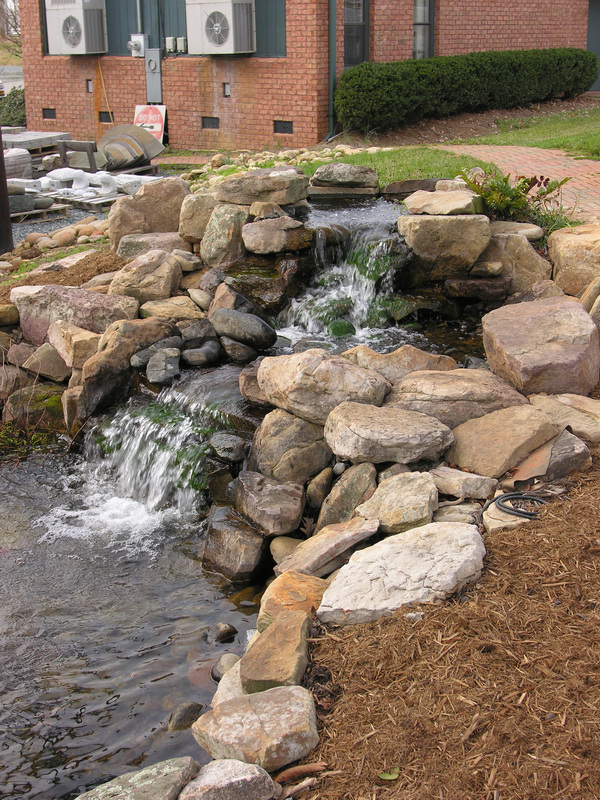 Metrolina Landscape designs and installs many different types of water features from prefabricated units to one–of-a-kind custom pieces. 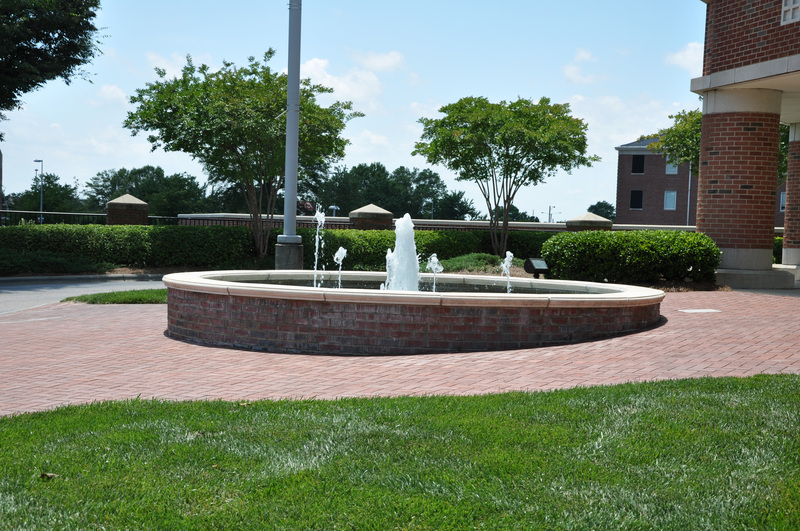 We’ve fabricated water features using a variety of materials like metal, stone, concrete and brick to create focal points within a landscape. 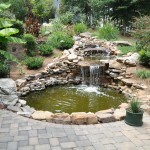 We have many standard designs available and also have an experienced designer on staff to custom build precisely the water feature you would like. 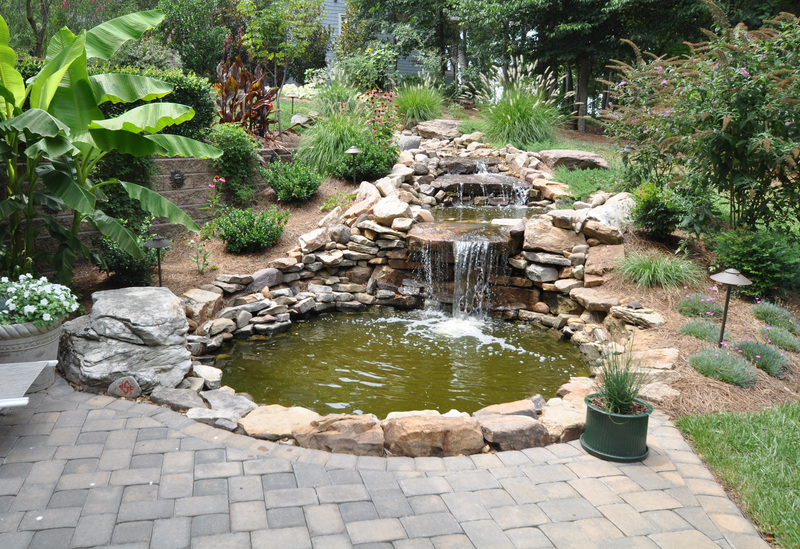 A water feature can help define a space by providing a sense of sound and movement which can be designed as a focal point or be incorporated subtlety into the landscape. 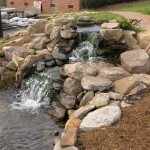 A common problem water features encounter is leaking, which is usually caused by cracking or improper waterproofing. 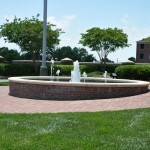 We build water features with proper bases, often with concrete which prevents movement that can cause cracking. We only use the highest quality waterproofing materials and techniques to prevent leakage. One of our representatives will be glad to meet with you to discuss your requirements.